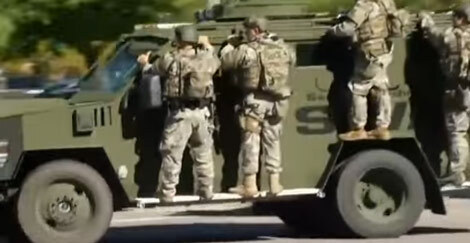 The San Barnardino SWAT team dresses up in tac-tic-KOOL clothes, rides around in and on armored cars, practicing to respond to an event that is likely to never happen in their real world. But it’s all cool, cuz they can play paramilitary in pretend events every month, with overtime and premium pay on top. This month they got to up their game a notch. In the same location they use for the rest of the practices, they added crisis actors and imitation news coverage. As happens once or twice a year, lamestream media and the prostituted political class decided to play this exercise as if it were a real shooting. There is a LOT of proof that the San Berdoo shooting was a false flag event. Once again, the Internet has the real information, along with plenty of fake. That’s a step up from a source that is reliably wrong. 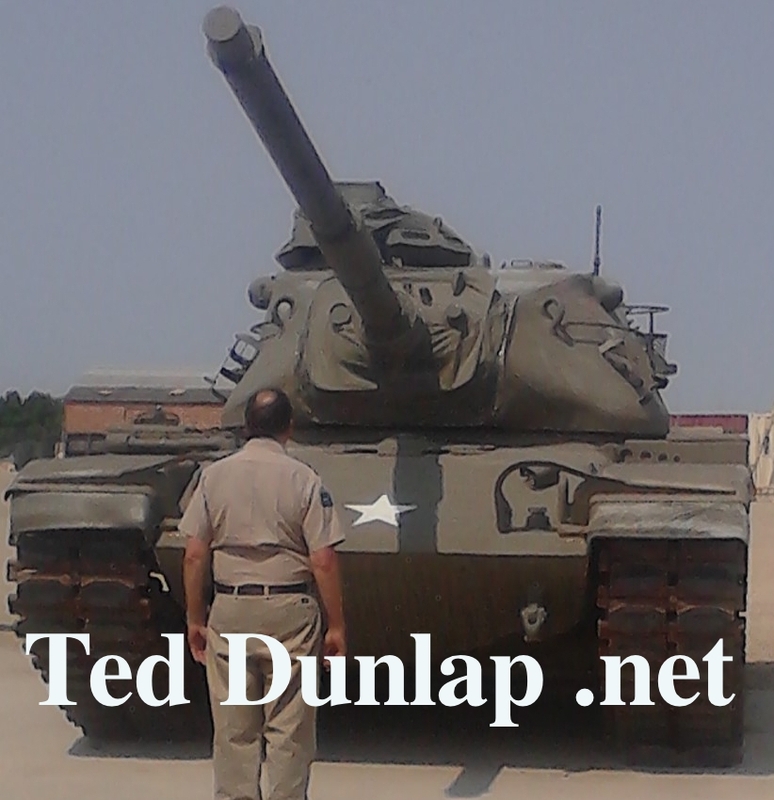 Please read on and check the links… pretty hard to call this assemblage “fake”. Once again, the drill coincides with the event. They keep doing this. It is a dead giveaway, but it must be important to making their false flag events work or they wouldn’t be putting these blatant signals together with their scripts. A SWAT drill was taking place at the EXACT moment of the shooting. Next up are a number of YouTube productions. I looked at all of them. Some may be taken down. Many will stay up. They were all there and enlightening at the time I published this. You can do your own fresh research at YouTube as I did by entering “san bernardino false flag” in the search line. The first 12 minutes of this next one covers the currnt WWIII leadup in Ukraine and Syria. At 14:22 mentions the disappearing 3rd shooter “the handler?”. Covers drills coinciding with recent “mass shootings”. That’s as many as I chose to watch. Run your own search on YouTube. As I said above, the evidence of a San Berdoo false flag is powerful. We are being lied to (again). Rather startling and telling that the showmen would stage something as dumb as this. Just in case you weren’t absolutely sure, the dog is absolutely being wagged in San Bernardino. Never in a million years would what you are about to see happen at a real terrorist mass shooting crime scene. Reporters from every mainstream media outlet you can think of swarmed the apartment of mass shooting suspects Syed Farook and his wife Tashfeen Malik, the couple we have been told are the ISIS-pledged terrorists who shot 14 people at the Inland Regional Center in San Bernardino just two days ago. In one of the most insane things you might ever see, dozens of “journalists” with camera crews rampaged a fresh crime scene, stomping all over everything, touching stuff without gloves as they rummaged through the couple’s belongings like it was a flea market going out of business or a Black Friday Christmas sale instead of part of an ongoing investigation of what America has been told is the deadliest shooting since Sandy Hook and an ISIS-linked terror attack on U.S. soil. One person contacted us who was born in the 1950s, when television news was still in its infancy. She said she witnessed the apartment raid live on MSNBC during a lunch break today and she had never seen anything like it. People were shoving each other, throwing stuff around. The reporter was filming a bunch of photographs that had babies and children the couple knew in them until another reporter cautioned they weren’t supposed to show people’s kids on TV without the parent’s permission. They ransacked a computer room and found a shredder with shreddings still in the basket and they were all remarking that they couldn’t believe the police wouldn’t have taken those shreddings as evidence. Speaking of evidence, they found lists on a table of all the items confiscated by the FBI. She said they also filmed the lady’s driver’s license and other ID cards without hiding any of the personal information. She stressed to me again that she was in complete disbelief. What is the first rule of a crime scene if not to secure it to make sure any evidence is not tainted? Unless this isn’t a real crime scene at all. Just consider what happened after Sandy Hook. Not only was the school building off limits and guarded, but even the road leading up to the building, not even the building, was guarded as well (until they bulldozed the building of course… although it might still be guarded even today). And yet, two days after what we are told is an ISIS-related terror attack on American soil, and the deadliest mass shooting since Sandy Hook, and we’re all supposed to believe the authorities running the show would leave such a high-profile crime scene filled with lots of potential evidence in a brand new ongoing investigation that isn’t even 48 hours old open to reporters and camera crews by the dozens riffling through it and trampling it like they’re fighting over flat screen TVs on sale at Walmart the day after Thanksgiving? If you cannot see what a steaming pile of bullsh*t this is, you might not be able to see anything at all.